HAGGERTY, MARGARET F. "Peg" of North Kingstown died Tuesday, July 24, 2018, at Kent County Hospital. Born in Providence a daughter of the late Frederick and Sarah (Doyle) Conway, she had lived in North Kingstown for 20 years with her late husband Paul T. Haggarty, previously living in Warwick. 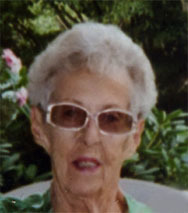 Peg was a military policewoman with the RI National Guard. She is survived by a granddaughter Susan Sontree of MN and a grandson Justin Rossi of MN. She was mother of the late Janice Rossi. Mass of Christian Burial in St Francis De Sales Church, 381 School Street, NK, Friday at 10:00am. Burial private in RI Veterans Cemetery, Exeter.